Following the fall of the early Kalachuri kingdom in central India, and the region's occupation by the Chalukyas of Badami, it took a while for the local rulers to re-emerge. By the time they did they had divided to form three kingdoms which had a succession of dynasties between the ninth to twelfth centuries. The least important of these was that of the Kalachuris of Sarayupara, who occasionally had to fend off the larger Northern Kalachuri kingdom. 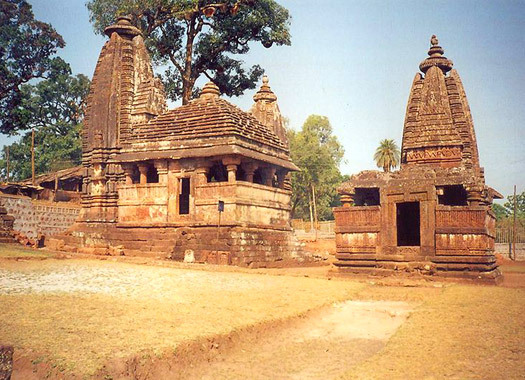 They governed the region along the Sarayu riverbanks, along with Gogra, and Uttar Pradesh. Warded off attack by the Pala king, Dharmapala of Bengal. Kokalla of the Northern Kalachuri kingdom defeats Sankaragana. Gunambodhideva defeats the king of Gauda, and helps the Pratihara king, Bhoja, against Devapala, the Pala king. Son. Suffered a civil war. The kingdom stretches from Gogra to Gandak. The fate of Sondha Deva and his powerful kingdom are unknown. No records appear to exist to describe its fall, but fall it does, and possibly very rapidly for there to be such a lack of information. The main Northern Kalachuri and Southern Kalachuri lines continue for over a century more.